Xerox Corporation's board of directors announced today that Anne M. Mulcahy, chairman and chief executive officer, will retire as CEO effective July 1. Ursula M. Burns, current president of the company, was named by the board to succeed Mulcahy as chief executive officer. Mulcahy will remain as chairman of the board. Mulcahy, 56, became CEO of Xerox on Aug. 1, 2001, and chairman on Jan. 1, 2002. Prior to that, she was president and chief operating officer of the company from May 2000 through July 2001. She began her Xerox career as a sales representative in Boston in 1976. During her 33-year tenure with Xerox, Mulcahy has held senior management positions in sales, human resources and marketing, and led the Xerox business division that sells products for reseller and dealer channels. The hallmarks of Mulcahy’s leadership include a close connection to Xerox customers – she is often referred to as Xerox’s chief salesperson – and an unwavering commitment to innovation. As a result, Xerox has completely overhauled its product line during her tenure, launching more than 80 products in the last three years and earning the number-one revenue share position in its industry. In addition, Mulcahy created and scaled Xerox Global Services, which offers document-related outsourcing, imaging and consulting services, and last year generated $3.5 billion in annuity revenue. “I joined Xerox because it offered a level playing field – a sales environment where meritocracy ruled. And, I stayed because the values of the brand, the culture and the people are so closely aligned with how I think every business should operate,” said Mulcahy. “It has been a privilege leading Xerox. The decision to move on is made easy only in the fact that Ursula Burns is so well positioned to take Xerox to the next level. Our strategy is sound and well defined. And, despite a tough economy, we are generating cash, building our technology and services pipeline and poised for a period of steady profitable growth in the future. Ursula Burns, 50, joined Xerox in 1980 as a mechanical engineering summer intern and later assumed roles in product development and planning. From 1992 through 2000, Burns led several business teams including the office color and fax business and office network printing business. In 2000, she was named senior vice president, Corporate Strategic Services, heading up manufacturing and supply chain operations. She then took on the broader role of leading Xerox’s global research as well as product development, marketing and delivery. In April 2007, Burns was named president of Xerox, expanding her leadership to also include the company’s IT organization, corporate strategy, human resources, corporate marketing and global accounts. 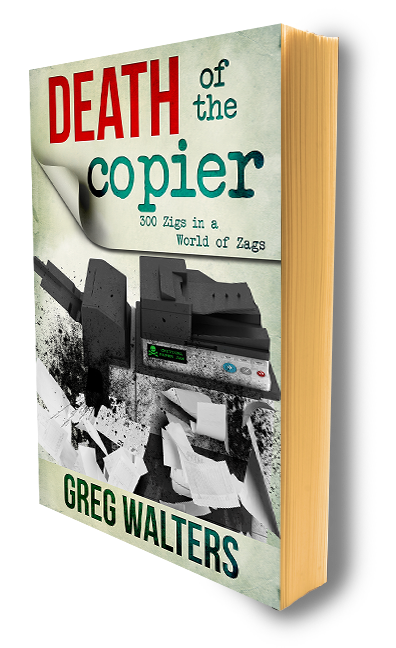 Is that the Death of the Copier.....company?